The 3-week run of theaters will begin in Raleigh, NC on February 9, with shows wrapping up in Los Angeles on March 2; more dates will be announced later this year. Plant, who is very committed to getting tickets into the hands of his fans and not scalpers or bots, is collaborating with Ticketmaster to sell pre-sale tickets through its Verified Fan program. 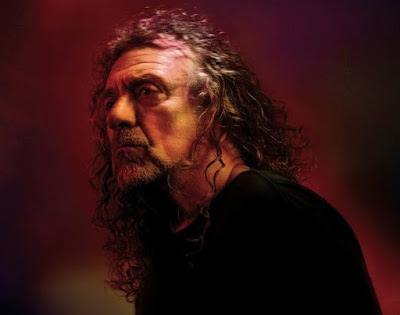 Fans can visit robertplant.tmverifiedfan.com to register for Verified Fan pre-sale access now until registration closes on Wednesday, September 27 at 12 PM ET. Those verified and selected will receive a text invitation two to four hours before the pre-sale begins on Thursday, September 28 at 12 PM ET. General public seats will go on sale Friday, September 29. Every ticket purchased online will be joined by either a physical or digital copy of “Carry Fire” upon its release on October 13. Plant’s eleventh solo album marks the follow-up to 2014’s “lullaby and...The Ceaseless Roar”, which debuted and peaked at No. 10 on the US Billboard 200. In addition to the North American tour news, Plant has also released an animated video featuring a duet with Pretenders singer Chrissie Hynde on the Ersel Hickey rockabilly classic, "Bluebirds Over the Mountain", from the forthcoming package. The singer will officially launch “Carry Fire” with a tour of the UK and Ireland in November.